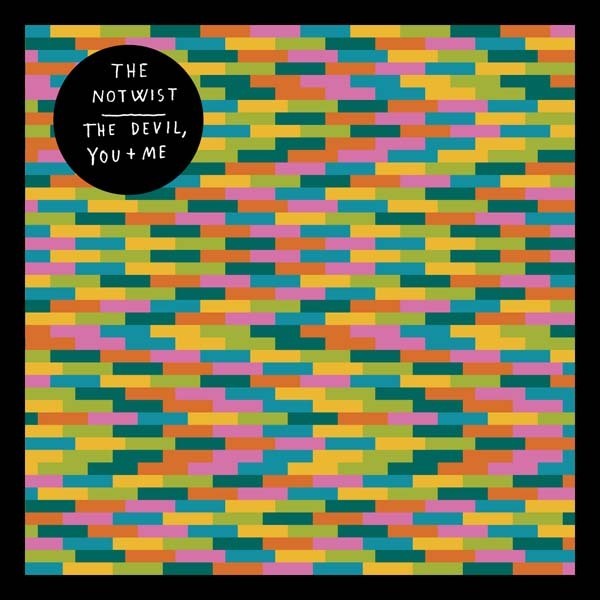 kidslooklikekats: The Notwist: "The Devil, You + Me". Why would Markus Acher write a delicate, unabashedly and almost embarrassingly intimate album only to bear the title The Devil, You + Me? Well, it becomes apparent to the listener why the title was chosen, but here's a clue: The devil is the entity that takes great pleasure in savoring our agony, and where is agony first and foremost present? Obvious enough. Anywhere hearts are open and joyful, the devil lurks in the nearby darkness awaiting any opportunity to vilify and taint our happiness. This album's intimacy is at all times disparagingly overshadowed by a very real and present darkness, as much of The Notwist's material, and it only becomes more and more evident with each relatively short, though nonetheless succulent, track. Of these, our introduction is not. "Good Lies" lends us the assumption that our dear friends The Notwist jumped on the Coldplay coffee cart just a little too late, though their percussive, Neu!-esque underbelly remains in tact just in case the change of direction doesn't end up working (which it doesn't); the result is half 12/Loup and half Plans, meaning half growling Deutschlandic innovation, half emotional insincerity. Luckily, "Gloomy Planets" radiates as a jazz-injected acoustic sparkler, combing through Markus Acher's inner-planetary frustrations and turmoil. "Alphabet" is a revisitation of early-post-Nook Notwist, complete with Motorik-driven guitars and percussion, debuting a kitschy organ growl and a processed drum loop that seems more unintentional than textural. "Gravity" is a glitchy and palatable romp through outer space, and "Sleep" features delicate guitar mingling, loopy hand drums and a seemingly ad-libbed vocal delivery that provides an interesting contrast to the well-orchestrated song structure. "Boneless" is my favorite track off the record, and showcases a single-octave piano intro, more staccato acoustic guitar, and perhaps The Devil, You + Me's most intimate chorus line.